Kabel speaker bulk by Orion Audio Type : PX-225 Bahan konduktor : Oxygen Free Copper 4N(99.99) Bahan Insulation : cotton, pvc Ukuran konduktor : 2x2.5mmsq Model geometri..
Kabel Interkonek RCA by Orion Audio(Pabhato) Type : Simetris MKII Gold Bahan Kabel : OCC 5N coper, copper Silver plated twisting. 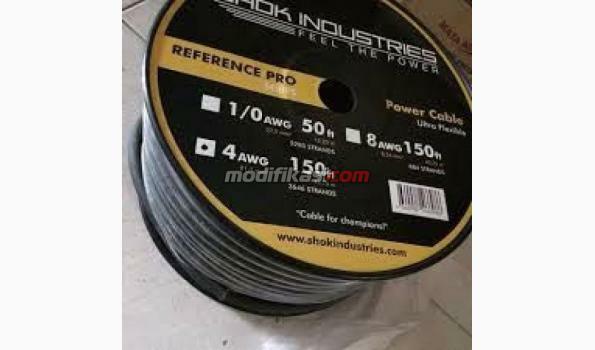 with TPFE jacket Insulation : Aircore..
Harga per 1m, 085231777705 THE TWIN (HALOGEN FREE) The TWIN is an entry level twin-lead AWG 16 loudspeaker cable with a good sonic quality despite its friendly price. O..